One of the most recognizable and influential artists in contemporary art history, Francis Alÿs possesses a distinctive identity and background as a Belgian artist living in Mexico City. Arriving in Mexico City in 1986 armed with an architectural education, Alÿs first engaged in work that revolved around Mexico’s distinctive local culture, history, and society, ultimately extending to a series of performances around the world. With his acute poetic and imaginative powers of perception, Alÿs raises questions about anthropology and geopolitics, conducting close observations and practices around everyday life. He has had numerous major exhibitions, including at the Tate Modern in London, MoMA in New York, and the Museum of Contemporary Art in Tokyo, among others. 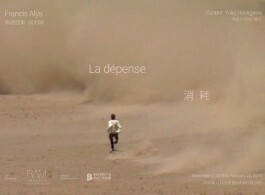 For the artist’s first institutional solo exhibition in China, La dépense will present close to 1300 works, including videos, paintings, drawings, sketches and installations, some of which have never been shown to the public before. Alÿs has always maintained a consistent creative trajectory while bringing in new ideas and movements. For instance, in a series of work with a temporal theme, Le Temps du sommeil (1996-), the artist has devoted over 20 years towards making works based on dreams, continually adjusting or adding to the same 111 small oil paintings on canvas, with the total set and number of canvases never changing. This exhibition will present the new painting series “Nei Mongol” (2017), which came from recent trips Alÿs made last year to Shanghai and Inner Mongolia. This recalls the series Loop (1997) made during his first visit to Shanghai in the 90s, a journey where the artist continually travelled in a South East direction around the world. This ensured that the artist undertook the longest possible route back to his departure point, ensuring that his journey would finish on the border separating Mexico and the USA, but from the other side. This epic of anti-economic creative logic offers a good example of the principle “maximum effort, minimum result” that could be read as the postulate running behind the works on display in this exhibition. 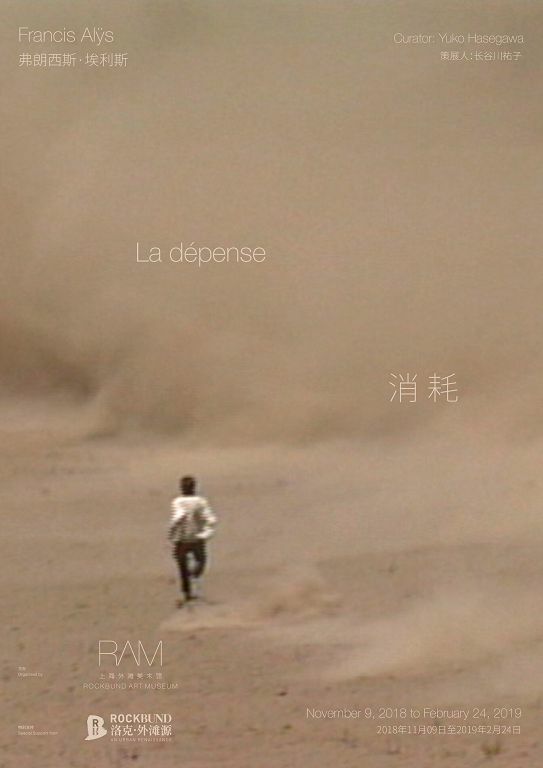 For the duration of Francis Alÿs: La dépense, Rockbund Art Museum will host a series of public education events, including lectures and workshops, allowing viewers to further engage the ideas of the artist’s work. For the occasion of Alÿs’ first institutional exhibition in China, an exhibition catalogue will be published in early 2019. The exhibition will coincide with the artist’s participation in the upcoming 12th Shanghai Biennale at the Power Station of Art in Shanghai, which will also open in November 2018. Yuko Hasegawa is Artistic Director of the Museum of Contemporary Art, Tokyo (2016 – present) and Professor of the Graduate School of Global Arts, TokyoUniversity of the Arts (2016 – present). She has previously been Chief Curator and Founding Artistic Director of the 21st Century Museum of Contemporary Art, Kanazawa (1999 – 2006) and Chief Curator of the Museum of Contemporary Art, Tokyo (2006 – 2016). She is currently Artistic Director of Inujima Art House Project (2011 – present). She was Curator of 11th Sharjah Biennial (2013), Co-Curator of 29th São Paulo Biennial (2010), and Artistic Director of the 7th International Istanbul Biennial (2001). Hasegawa’s recent projects include the FUKAMI, a dive into Japanese anesthetics at Hotel Salmon de Rothschild（2018), the 7th International Moscow Biennale of Contemporary Art: Clouds ⇄ Forests (2017), Japanorama: New Vision on Art since 1970 ​​​​at Centre Pompidou-Metz (2017), Kishio Suga: Situations at Pirelli HangarBicocca, Milan (2016), and New Sensorium Exiting from Failures of Modernization at ZKM | Center for Art and Media Karlsruhe (2016). She has served on the jury for the Nasher Prize Nasher Sculpture Center, Dallas (2015 – 18), the Premio MAXXI BULGARI, Roma (2017 – 18), and the 48 Esposizione La Biennale di Venezia (1999), among others, and is currently jury member of Hugo Boss Asia Art Award (2013, 2015, 2017). For over eight years RockbundArt Museum has been at the forefront of the growing contemporary art scene in China, presenting world-class programs in a unique museum setting. A boutique museum of the utmost quality, RAM holds a unique position within Shanghai’s continually expanding cultural scene. The museum is located within the Bund district and housed in an exquisite heritage Art Deco building, which was renovated by the architect David Chipperfield before opening in 2010.